Wait on the Lord. His timing is always perfect. Lazarus was the brother of Mary and Martha. He was Jesus’ dear friend. Lazarus became very sick and died. When Jesus arrived in town, Lazarus had already been dead four days. Jesus told the people to roll the stone aside from entrance of Lazarus’ tomb. Jesus shouted for Lazarus to come out. Lazarus came out; He was alive again! Lazarus was living proof that Jesus is the resurrection and the life! 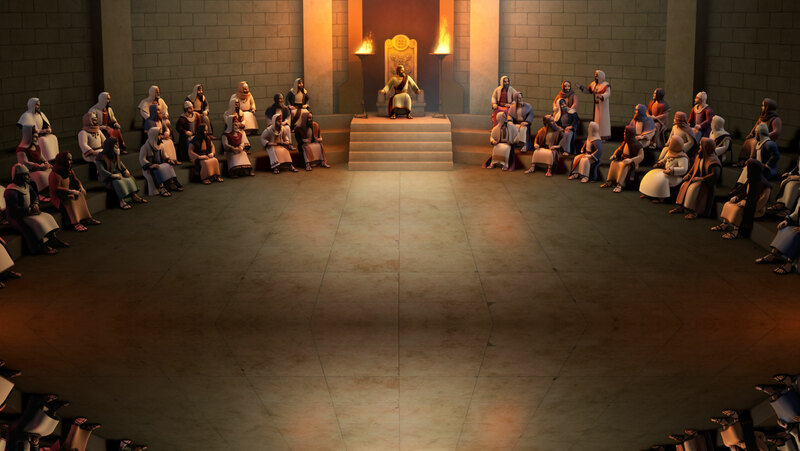 The Jewish leaders plotted to kill Lazarus and Jesus. 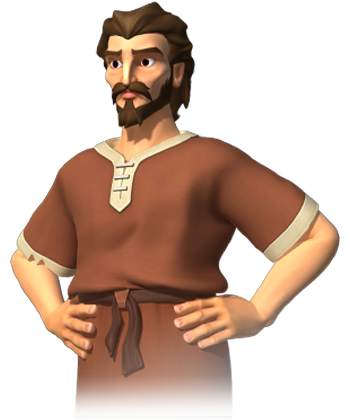 Many people believed in Jesus because He raised Lazarus from the dead! 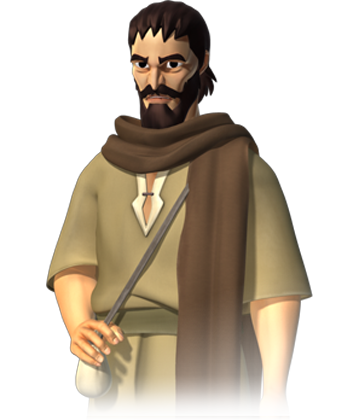 Caiaphas was a Jewish high priest during the time of Jesus' public ministry. 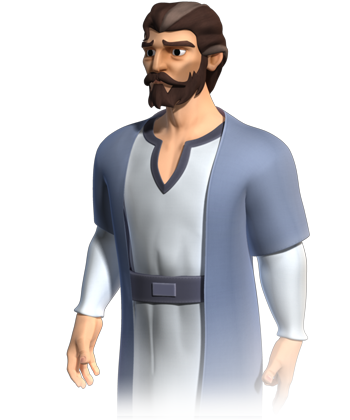 Caiaphas was fearful of Jesus' sudden rise of popularity after Lazarus was raised from the dead. He quickly met with the others Jesus leaders and advocated for Jesus to be arrested and put to death. Martha was the sister of Mary and Lazarus. Jesus loved them and often visited. Martha was all about serving others and making them feel at home. As Martha prepared a big meal for Jesus and His disciples, Mary sat at Jesus' feet. This upset Martha. She asked Jesus to send Mary to help! Instead, Jesus told Martha that Mary had made the right choice. Martha and Mary sent a message to Jesus when Lazarus was sick. When Jesus arrived, Lazarus was dead. Martha told Jesus that if He had been there, Lazarus would not have died. Martha teaches us that we can never be too busy to spend time with Jesus. 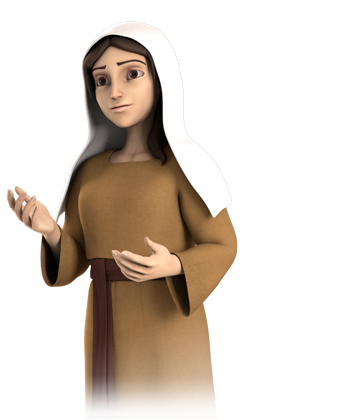 Mary was the sister of Martha and Lazarus. 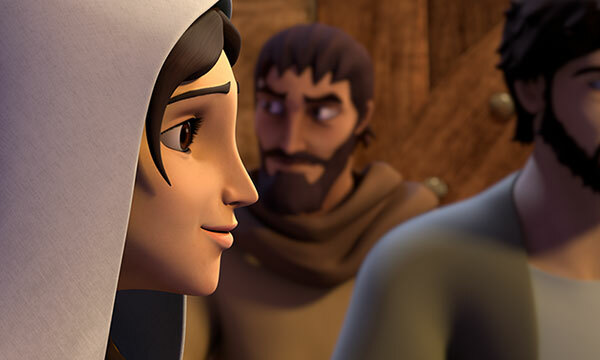 When Jesus visited their home, Mary sat at Jesus' feet instead of helping Martha prepare the meal. 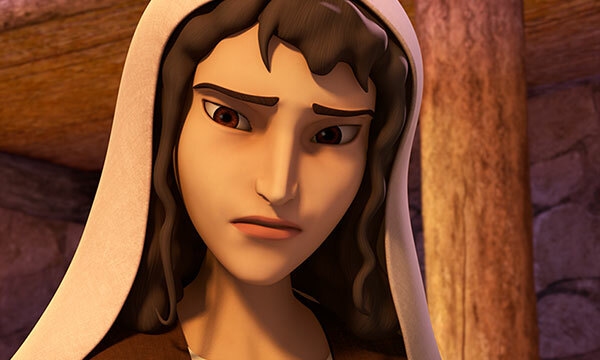 Martha was angry but Jesus said that Mary had made the right choice! Mary believed that Lazarus would not have died if Jesus had been there. 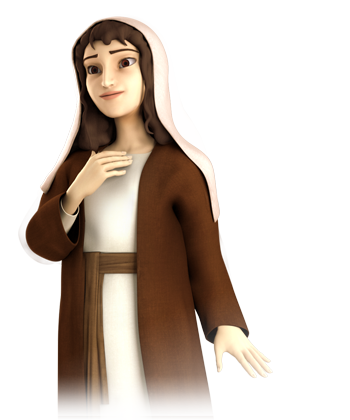 Mary's sorrow was replaced with joy when Jesus called Lazarus to walk out of his tomb! Mary would soon anoint Jesus' feet with expensive perfume to prepare Jesus' for His own burial and resurrection! Will God answer my prayer right away? There was a greater purpose to Lazarus’ sickness, one that would bring glory to Jesus and God. Jesus knew that He would raise Lazarus from the dead; it didn’t matter how many days had passed! Many people would believe in Jesus because of it! Jesus also knew that by waiting, even His own disciples’ faith would be strengthened. (John 11:1-6, 14-15; 12:9-11). When Jesus arrived in Bethany, Lazarus had been dead for four days. 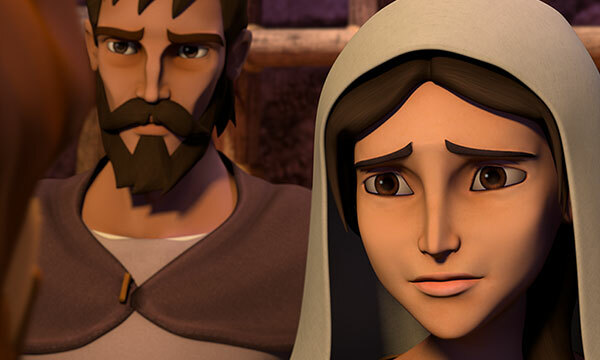 Jesus told Martha that her brother would live again, and that is exactly what happened! 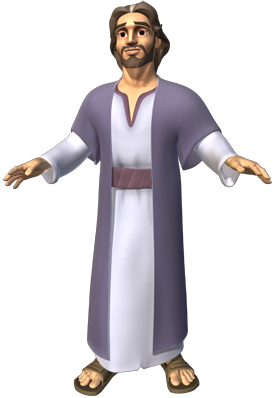 Jesus told the people to roll the stone away from Lazarus’ tomb. He then called for Lazarus to come out. He walked out of the tomb; Lazarus was alive! God knows exactly what is going on at all times in our lives. 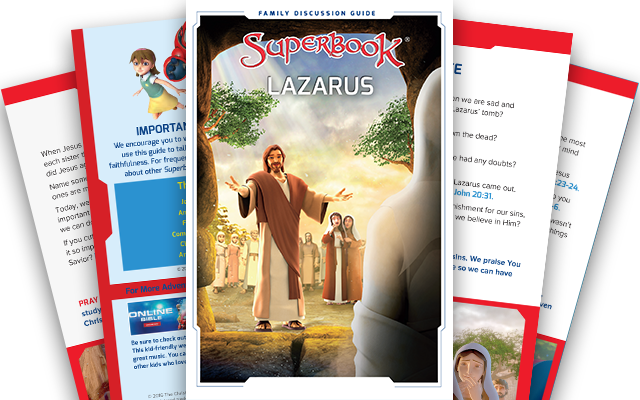 Jesus wasn’t surprised by Lazarus’ sickness and death. He knew even before He received the message from Mary and Martha. He already had a plan for God’s greater glory and would not hurried by others. Don’t panic when it seems God is moving too slow or not according to your schedule! “But you must not forget this one thing, dear friends: A day is like a thousand years to the Lord, and a thousand years is like a day (2 Peter 3:8). God does not look at time like we do. Yes, wait on the Lord, trust in His timing and greater purpose; His timing is always perfect! How important is listening to Jesus? Martha was busy; very busy! Jesus and His disciples were visiting at her house. She was hard at work preparing a big dinner for them. After all, what could be more important than serving Jesus? Jesus was important to Mary too. But, instead of serving Jesus, she placed more importance on sitting at Jesus’ feet to listen to Him teach. Martha was not happy and thought that Mary needed to get her priorities in order. In fact, Martha was so upset that she asked Jesus to tell Mary to get up and help her! Jesus had to agree that it was unfair for Mary to let Martha do all the work, right? Instead, Jesus told Mary to not be so worried about the meal. He said there was only one thing to be concerned about and Mary had made the right choice – spending time listening to His words! That wasn’t what Martha expected to hear! Mary hadn’t made the wrong choice; Martha had! (Mark 10:38-42). Yes, we are to serve. Jesus set the example to serve one another and to serve God. Yet, Jesus also placed a priority on getting away from the crowds of people and spending time with God. In these times, He could speak and listen to His Father. He could be strengthened to do God’s will. Service and busyness never replace personal time with God. The things of this world will not last, but the Word that God places in our heart can never be taken away from us! Sometimes busyness, even with good things, can interfere with our relationship with Jesus. It is important to keep balance in our lives between serving and sitting in God's presence. We must listen to the Holy Spirit inside us. If He is leading us to rest, pray, listen, or read God’s Word – we need to make the right choice as Mary did. “There is only one thing worth being concerned about. Mary has discovered it, and it will not be taken away from her.” (Luke 10:42). Jesus’ Words apply to us today – when Jesus speaks, we need to stop and listen! How does Jesus give me life here and forever? 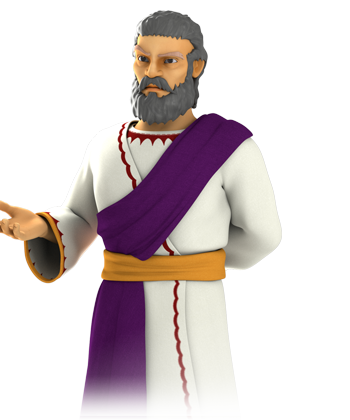 Jesus talked with Martha about the resurrection of the dead. She believed in an end time resurrection, like many others did, including the Jewish leaders. However, she did not grasp that Jesus was not talking about the last days; He was talking about the present. Lazarus would rise again and live on the earth again! (John 11:23-27; Acts 23:8). “The Father has life in himself, and he has granted that same life-giving power to his Son.” (John 5:26). Because Jesus has life in Himself, He has the power, desire, and authority to give a rich and satisfying life to all who believe in Him. This life is available to us now and Him in heaven. Because Jesus rose from the dead, He conquered sin and death and became the resurrection for us all! Death has no power over us! (John 3:16; John 10:10). Everything we need in this life and the future exists in Him! Psalm 39:7 says, "And so, Lord, where do I put my hope? My only hope is in you." Jesus was both God and man. 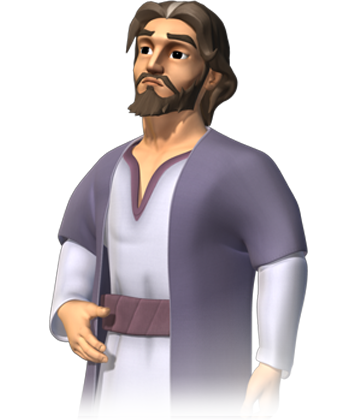 Jesus said that He and His Father were one – He was with God from the beginning of time. Jesus then came to earth as God’s Son. As a man, Jesus was made in every respect like us so He could be our merciful High Priest. Jesus experienced the same struggles and temptation as we do yet He never sinned. (John 8:58; John 1:14; Philippians 2:6-7; Hebrews 2:17-18). As a man, Jesus didn't just see the pain and the sorrow of Martha and Mary, He felt it too! 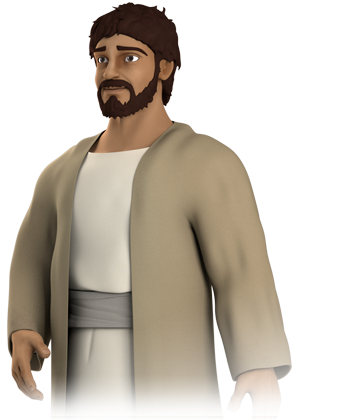 Jesus was deeply touched and troubled by everything that was happening. He wept at the loss of His dear friend. "Wept" in this verse means to burst into tears! (John 11:30-35). When we feel grief, sorrow, or pain, Jesus has experienced it. He comes to comfort us and give us peace. Paul wrote a letter to the church at Corinth. He talked about the comfort God brings through Christ. “May God our Father and the Lord Jesus Christ give you grace and peace. All praise to God, the Father of our Lord Jesus Christ. God is our merciful Father and the source of all comfort. He comforts us in all our troubles so that we can comfort others. When they are troubled, we will be able to give them the same comfort God has given us.” (2 Corinthians 1:2-4). Jesus comforts us so we might then comfort others. Let us always look for opportunities to share God’s love, mercy, and peace with others at all times. “Be happy with those who are happy, and weep with those who weep.” (Romans 12:15).